Wondering how different a twin pregnancy is compared to a regular one? Read some of the most surprising differences between a twin vs singleton pregnancy. I thought I had pregnancy down pat after I had my singleton. I did the research, went through nine months of pregnancy and finally, delivery. My second pregnancy would be simple, I figured, now that I’d already gone through it once. So imagine my surprise when the doctor announced I was having… twins. I was not prepared for two babies. I entered a new world with its own lingo and protocols I’d never heard of or didn’t need to know with a singleton. Heck, I didn’t even know the meaning of “singleton” until I became a twin mom. I felt like a first-time mom all over again, and for good reason. From twin pregnancy symptoms to new guidelines, I had no idea how different a twin pregnancy could be compared to a singleton one. You see, I knew close to nothing about a twin pregnancy. Sure, I figured that twin bellies got larger than normal, and that twin babies were likely to be born on the smaller side. Otherwise, I was clueless. Throughout my pregnancy, I’ve learned a lot about carrying twins. I discovered things like the best ways to take care of myself and increase the chances of a healthy twin pregnancy. And I followed new timelines, from when to stop traveling to how much weight (and by when) I needed to gain. This is the information I’d love to pass on to you so you don’t feel as overwhelmed as I did. Because—from the symptoms of twins to energy levels—being pregnant with twins is nothing like carrying a singleton. Long before I learned I was having twins, I noticed a difference in morning sickness and fatigue. The nausea felt more intense than with my singleton. I also felt tired more quickly, even from simple things like a walk around the block. Typical signs of twins are extra fatigue and morning sickness compared to a singleton pregnancy. After all, your body is making two babies and likely two placentas, increasing the chances of the symptoms even in the early stages of pregnancy. You’re also producing more hormones that contribute to all sorts of physical and emotional changes right from the start. And the extra blood and other fluids flowing through your body also add extra weight. Thankfully, my morning sickness began and ended around the same times as my singleton pregnancy. While the nausea felt more intense, it at least only lasted around the same time as it did with my first. The fatigue however doesn’t go away as easily. The physical drain of carrying two babies happens much earlier, even well in the second trimester. Get more tips about coping with morning sickness. I was sitting in the waiting room during one of my prenatal appointments when I saw a pregnant woman walk in. Common enough to see in a doctor’s waiting room—except this woman’s belly was large. I knew right then she must have been carrying twins. Only later when I too was in the later weeks of my twin pregnancy did I know just how big our bellies can get. How large is a twin belly compared to a singleton? A twin belly at 32 weeks is about the same size as a singleton belly at 40 weeks. So while singleton moms are ready to get their babies out at 40 weeks, twin moms have a few more weeks to go. In fact, one of the reasons I felt down about expecting twins was because I was imagining the worst with my belly. I couldn’t grasp the thought of getting so large, and scared myself by Googling images of twin bellies. But while our bellies do get larger than singletons, the change happens gradually. Your body will adjust to the extra weight so that, come the third trimester, it’s not as bad as you may have originally thought. Want to make sure you get everything you need done for your twin pregnancy? 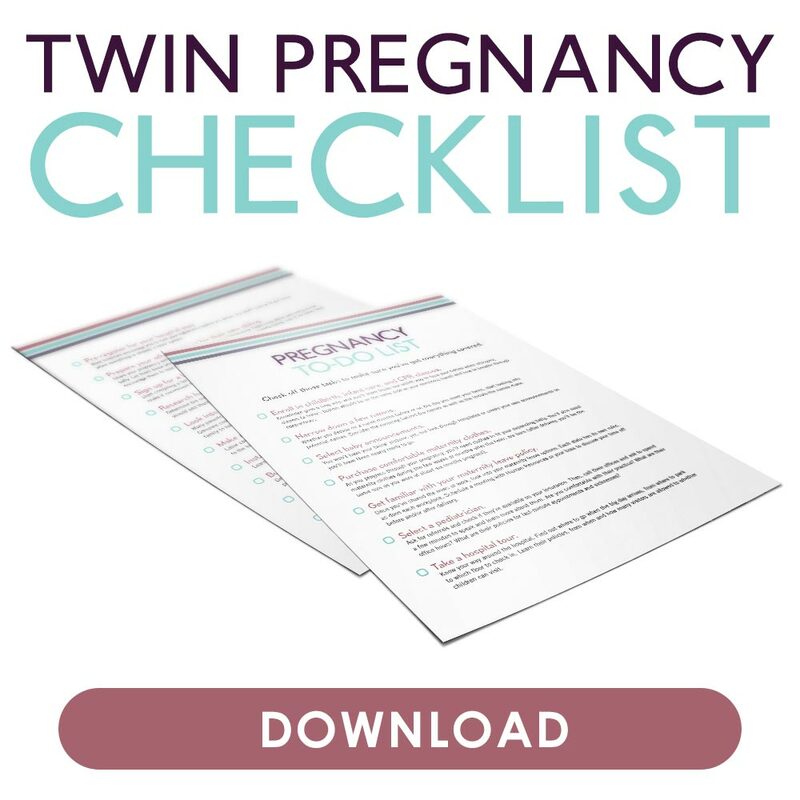 Grab my Twin Pregnancy Checklist! Now you’ll know which tasks you need to take care of before the twins arrive. Download it below—at no cost to you. With my singleton pregnancy, I exercised often, from walking to swimming to prenatal yoga. So I was surprised when I took my normal walk around the block and felt ready to pass out a few minutes into it. This blew my mind away. During my singleton pregnancy, I had heard and practiced the importance of exercise. I was encouraged to exercise throughout pregnancy to better improve my health throughout those months. As always, check with your doctor about your own physical needs, since yours might differ from mine. But I learned that my twin pregnancy posed different risks from my singleton one. For one thing, our bodies are hard at work making two babies, not one. Between rest and exercise, resting became more important than over-extending myself. And second, my twin pregnancy came with its own set of complications that exercise could worsen. Whereas exercise was a positive factor in my singleton pregnancy, it became a risk with my twin one. My doctor said I should still be limber and move throughout the pregnancy, but to choose simple movements. I followed a slow pace and stretching exercises over vigorous and lengthy ones. Try mild exercise as long as you can, then cut back when it gets to be too much. And don’t get down on yourself or think you’re not tough enough if you get winded after 10 minutes of exercise, even if you’ve been previously active. Singleton moms might be able to walk miles every day, but a twin pregnancy is a whole other ball game! No matter how healthy you may be, once you’re carrying twins, you’re automatically considered a high-risk pregnancy. Our bodies aren’t meant to carry more than one baby, no matter how common it is to give birth to multiples. Many of these complications are manageable, but your doctor will want to assess them along the way. After all, the best way to increase your chances of a healthy pregnancy is to attend all your prenatal appointments. So, while you may have seen your doctor once a month for a singleton pregnancy, you might see her every two weeks in the beginning. If you’re like me, you might even need to see your doctor several times a week if you run into complications she needs to monitor. I also received more sonograms with the twins than I ever did with my first. My singleton pregnancy included a total of three sonograms, but I’d get a sonogram at nearly every visit. This isn’t so much so I’d have mementos as it was to monitor my babies’ growth. Pregnancy—especially a twin one—is deceiving. It seems silly to feel tired when it doesn’t look like we’re doing anything, but our bodies are working at a tremendous pace creating two babies. So much so that we feel exhausted even if all we’ve done is sit at our desks all day. Think about it this way: Your body needs a total of 600 extra calories a day to make your babies. That’s a lot of energy it’s using! Imagine exercising long enough to burn off 600 calories every day and you can see why your body needs to rest. Don’t be surprised if you barely make it through the morning before needing a lunchtime nap. And you just might find yourself spending most of your time on the couch, especially in the third trimester. These are all normal signs of having twins! 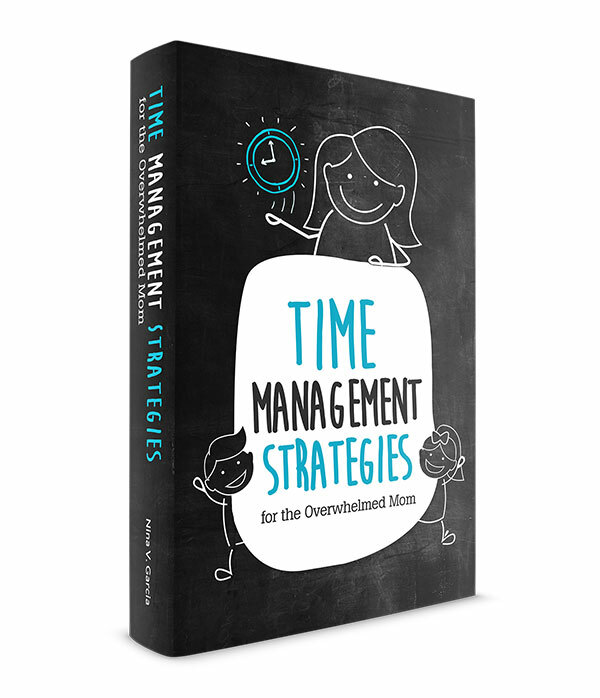 Include downtime into your day so you don’t get to that point of feeling exhausted from simple activities. But don’t wait for your body to feel tired before you force yourself to rest. Cut strenuous activities you used to do or take them down a notch. And while no one can guarantee herself from pre-term labor, my doctor advised me to take it easy. If you feel like taking a nap, take a nap. If you’re too tired to stand up to cook, don’t. Lie down often and take care not to lift or carry anything heavy. Taking it easy becomes even more crucial during the last few months when you’re most uncomfortable and just about ready to give birth. Check out my tips on how to cope when you feel too tired. I always considered myself an avid water drinker. I don’t drink anything else, other than tea. So when I heard that I should drink one gallon—or 16 (8 ounce) cups—of water a day, I assumed I already was. Just to be sure, though, I began measuring and tracking how many cups I drank for the day. To my surprise, I barely reached 10 cups, and that’s with me trying. I never knew how difficult drinking 16 cups of water is, but after that experiment, I made it a point to. I bought a one-gallon water bottle which I kept at my side to track how much water I actually drank. And with a twin pregnancy, your body needs an extra dose of water to stay hydrated. 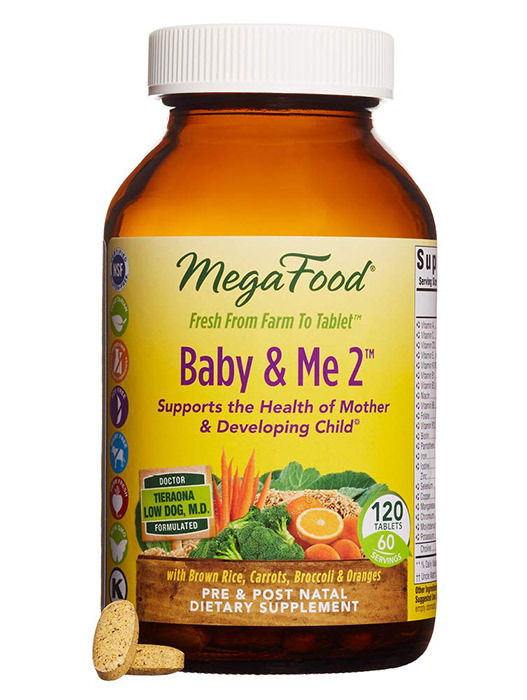 With my singleton pregnancy, one prenatal vitamin a day was enough to cover all my needs. My twin pregnancy, however, needed way more than one prenatal vitamin. For instance, my doctor recommended an extra 2,000 IU of vitamin D and 1,000 mg of calcium. To compare, my prenatal vitamin had only 220 IU of vitamin D and 145 mg of calcium. She also gave me an extra iron supplement and recommended at least 1mg of folic acid (the prenatal vitamin only had 400g). On the positive side, taking all those vitamins helped me reach my 16 cups of water requirement! And with all that iron in your body, talk to your doctor about increasing your fiber intake to ease constipation. Supplements or eating fiber-rich food usually do the trick. When I was pregnant with one baby, I was able to travel all the way up to 36 weeks. Not so with twins, where my doctor preferred I didn’t travel at all. And if I had to, 24 weeks is the latest most doctors will allow their twin moms to travel. Why the travel restrictions with pregnant twin moms? Complications can also happen more often and at any time during a twin pregnancy, so staying local is advisable if anything happens. Your doctor can monitor you more closely or admit you to a hospital for emergencies. And if you deliver early while traveling and the twins are admitted into the NICU, you won’t be able to take them home until they’re ready. You then run the risk of being stuck in a different place away from home while you wait. The last few weeks of your pregnancy are dedicated to preparing for the baby, from getting your gear assembled to packing the hospital bag. But with a twin pregnancy, you’ll want to prepare even earlier than singleton pregnancies. 60% of twin pregnancies are born prematurely (less than 37 weeks), with the average twins born at 35 weeks. My own pregnancy was scheduled to go no later than 38 weeks, before that due date was eventually moved to 37 weeks because of complications. We rarely have the space or resources to house our twins through 40 weeks or beyond, so most twins are born earlier. Complications and certain types of twins also make it more likely that twins will deliver earlier. For instance, mo/di and mo/mo twins tend to be born earlier because these twins either share a sac, a placenta, or both. Even di/di twins like mine don’t always make it all the way to 38 weeks—I ended up going to labor at 35 weeks. While no one wants their babies born that early, it’s smart not to put things off to the last minute. Have your hospital bags packed, car seats installed, and cribs ready to go no later than 30 weeks. Mo/di and mo/mo twin pregnancies should be even earlier than that. Get a list of everything you need on your twin registry. I thought twin pregnancies just meant your belly is huge and your babies are small. Boy was I wrong. You’re more tired and much earlier in your pregnancy than if you were only carrying one. Exercise isn’t a must-do, especially with the increased risks of a twin pregnancy. Instead, rest is more important, as is drinking double the water and taking more vitamins than a woman pregnant with one. With increased risks and complications, pregnant women with twins are also advised not to travel at all, or if they must, to do so before 24 weeks. And because most twins tend to be born prematurely, you’ll want to have your hospital bag and baby gear essentials ready to go. It’s overwhelming to consider how different this had been from my singleton pregnancy, but I’m glad I learned all I could to prepare. Feeling overwhelmed with expecting twins? Raising twins, from pregnancy and those first few months, is different from a singleton. 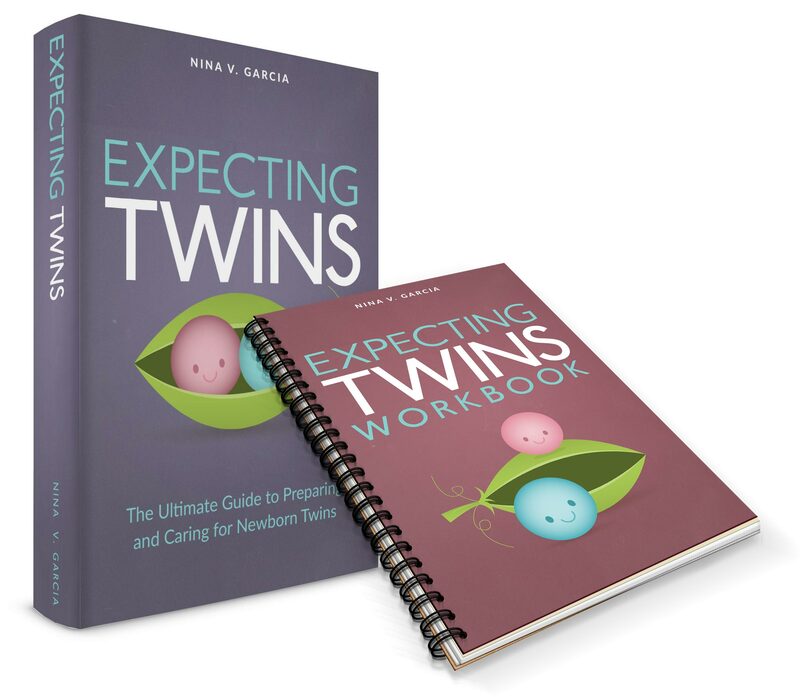 Get the Expecting Twins Guide, my all-encompassing guide and workbook on how to prepare for your twins! Did you like this article about the differences between a twin vs singleton pregnancy? Share it on Pinterest and Facebook! Overwhelmed with everything you need to do for a twin pregnancy? Get organized with my Twin Pregnancy Checklist! The checklist—at no cost to you—includes everything you need to get ready before your twins arrive in a convenient checklist. I was thinking the same thing, and how, with my first pregnancy, I totally took for granted those long stretches of sleep I once had! Whew, it’s a lot of work to grow one baby. I can only imagine how much harder it is to grow two! Sounds like you’re as prepared as possible. Goodness! I figured it would be much harder! I think it’s really good that you are doing your research and taking care of yourself and those babies! Not that I want to make of you a martyr, but it’s lucky for other moms who will be expecting twins, to have your blog to refer to when the time comes. I’m sure it will be very helpful to them. I’m hoping for the same, Betsy. Not that I’m relishing in the miseries of twin pregnancies (ha!) but that it can be somewhat useful to others in the same situation. My friend recently gave birth to identical twin girls so some of these differences you’ve talked about have become familiar to me over the last 6 months or so. It must be a lot to take in. My friends girls were born at 32+3 due to twin to twin transfusion (they share a placenta), it was a scary experience but had a happy ending as both girls are doing brilliantly. If she hadn’t listened to her ‘feeling’ that something wasn’t right and gone to the hospital there may not have been such a positive outcome. So I’m guessing that you have non-idential twins Nina? Are we putting in guesses for genders? Are you going to find out? So glad to hear that your friend’s girls are doing well! I heard that twin to twin transfusion is a serious risk, but I lucked out because my twins have their own placentas. I think what happens with TTTS is that one twin is at risk for taking in all the nutrients and blood while the other twin doesn’t, and it can be bad for both twins, so they have to monitor them like crazy when the twins share the same placenta. As far as the genders, I should totally put in some guesses! Winners get a shout out lol. But in seriousness, yes I absolutely want to find out the genders, and will hopefully learn of them this week (unless they’re being shy with their parts!). If they’re boy/girl twins, then they’re guaranteed fraternal; if they’re the same genders, then I’d have to wait until their born so they can run DNA tests to confirm. And since mine don’t share the placenta, it’s not guaranteed that they’re identical (twins that share a placenta like your friend’s are always identical). OMG Nina! Full time job just to take care of your body and the babies! Hang in there! With my friend and sister-in-law being pregnant with twins I realised I couldn’t give as much of my own advice based on my experience as the pregnancies were certainly different. I was planning to have a natural birth, hypnobirthing techniques etc, but because of the size of their babies they had little chance of having a birth with no intervention. Coincidently both girls had their twins at 31 weeks. My friend had a scheduled C-section and my sister was able to have a vaginal birth. One definitely has to be a bit more flexible when it comes to twin pregnancies! Ideally I’d like to give birth vaginally since I heard c section recoveries were more difficult. But who knows that may not be the case for me. Like you, I thought twins would only mean bigger belly. But all the other differences just make sense after reading this post. I am SO excited about your TWINS! Thanks Teresa! Seeing the differences now, the extra hardships definitely make sense, but it’s funny how I never even thought about it. I suppose if I knew more people having twins I’d be more in the know. Wow, I hadn’t thought of all of these things! From personal experience I can say that with each pregnancy I was more tired because I had kids to chase on top of all the other responsibilities I had the first time around. I can’t imagine piling multiples on top of it! Thanks for sharing. Sarah, I think second and subsequent pregnancies automatically make it more difficult. Like you said, you can’t just take a nap when you get home from work because you’re taking care of another kid. Not to mention that our bodies know what they’re doing and start getting bigger and achier faster. And we’re not just as young as we were however many years ago with our first pregnancy! I’d also heard that C-section deliveries were hard to recover from, but then I ended up with an emergency c-section during Eli’s birth and was surprised at how easy the recovery was. I’ve since read of people’s accounts of difficult recoveries from vaginal births that sound like they had a worse time of it than I did… So if they end up recommending a c-section don’t worry that you are doomed to a difficult recovery. It may go very well, especially if you can line up the extra help in the initial few weeks, which with twins you may need to do anyway. Karen, thanks for your reassuring words. I’ve also heard that c-sections were difficult and pose risks as I’m sure any surgery would. So yeah, I’ve been a bit apprehensive about getting sliced lol. It’s good to hear from others who recovered fairly well and have a glimmer of hope that the same might be in store for me! I loved you post! I have 4 1/2 YO twins and a 6 mo old, and I agree the difference is shocking. Luckily, I had my twins firstbecausethe difference between pregnancies is nothing compared to the difference once you have the babies huh? Thanks Mara! We’re switched; I had my singleton first and then my twins. I agree that the sleep deprivation with twins was rough! Although since I did have a singleton first, it’s hard to compare because I sort of “knew what to do” with the twins. It was just tougher dealing with double the work lol! Congrats Rachel, and welcome to the world of twins 🙂 And I’d say it’s a pretty good sign you’re feeling great even with the first trimester. With my first trimester I was already miserable (though it could be because it was my second pregnancy, and therefore more progressed). And yes, isn’t it nuts about drinking a gallon of water? I also drink nothing but water but found that I still came up short. Congrats again and feel free to drop me a line if you have any questions! I had 4 single births before being surprised with twins. I am pregnant again with a single and I laughed as I read these. They are all spot on!!! Especially vitamins!!!!! I remember the last month (I went to 37weeks and 4 days) that I could have sat in a chair and stared out the window all day and been perfectly content. There wasn’t any energy or brain power left to do much more than grow those little guys! (Well big for twins….both almost 7 lbs a piece!) Oh and the exercise. I remember a friend asking me if I was exercising in that “Of course you are.” sort of way. I laughed and told her I couldn’t….spotting all the first trimester, and contractions starting in the second….you just don’t want to push it. Isn’t it crazy how different twin and singleton pregnancies are? It just blew my mind away. But wow, 7lb each baby! That’s literally like two singleton babies in one 🙂 Mine were on the smaller size, about 4 and 5. And it’s so true, that while we’re “just lying there,” our bodies are hard at work making these babies. My doctor explained all the hardships of twin pregnancies when she said our bodies just aren’t designed to carry more than one baby. How is your now-singleton pregnancy going compared to now that you’ve had twins? Hope all is going well Marie! My doc (same that I had for my first) told me to walk, exercise and anything except contact sports for as long as i could. Nauseous and tired while taking on an opening shift to help pay for the coming bills i was logging 10k steps a day for the first 4 months. Then my brain went and i couldn’t think so i dropped working. My doctors theory was make my heart stronger, make my body work to keep this pregnancy and it would develop strong vessels and I would have a better chance of having the natural birth I wanted. Lots of healthy foods, some vitamins and positive education. Got them out myself at 37+1 ! That’s awesome you were able to exercise! I did light walking for a few months too until after a while I also felt like dropping after just walking around the block one time. With my singleton though, I credit exercise for my very smooth pregnancy with him. I was working out til 8 months with my singleton. I think one thing that did me in with the twins was how horribly I ate. I tell anyone I can that if they’re having twins, to eat healthy food. I think my focus was on packing in the calories, which is hard when you can barely eat, so I ate unhealthy, but high-calorie food. I gained the weight, but my body suffered. Now I learned I should have eaten high-calorie healthy food, and to juice my meals into smoothies. Thankfully all went well. That’s great your babies made it past 37 weeks! Mine came out on their own at 35w6d. My twins are 6 now. It’s funny to think back to my pregnancy with them. They were my first. I was out on bed rest from about q3 weeks til the end of my pregnancy. I even had one over night stay at the hosp at about 27 weeks with a bout of pre term labor. I woke up with the pre term and didn’t do anything that would have caused it. But luckily they stayed out until my c section date at 37w6d. I also had zero appetite while pregnant. I didn’t have morning sickness … I just assume there was no room so I had to force myself to eat. I’ve since had 2 more single pregnancies and with thosevi are plenty and worked up until delivery. Twins are a crazy thing!! Hi Meg! So glad to hear that you went all the way to 37w6d, even after a 27w scare! I went up to 35w6d but thankfully no complications and they came home with us. I had the zero appetite too during the first trimester, and during the third, eating was a challenge. And that’s great you didn’t have morning sickness. Isn’t it crazy to compare twin pregnancies with singletons? So different! Being a Maternity Photographer I hear all kind of stores from new Moms. Me being a mother of three I get asked experience questions all the time. Posts like this are very helpful for me to guide the new Moms towards more information. Oh my goodness Amanda, 32 lbs! Wow and I thought I had it bad when I could only gain 2 pounds during the first trimester. But hey, you plugged through mama! 37w5d is awesome, and look at those baby weights! Every time I see another mom of twins I just feel like giving them a high five! I had my appendix out the day before my twins were born, that was 47 years ago. Also I did not know I was going to have twins. They were born @ 28 weeks, they weighed 5 & 5lbs 2 Ozs. They were @ Cleveland’s rainbow hospital for 3 weeks. Also I had them naturally even though I had had my appendix out the day before. They were a wonderful surprise I thought I was going to have a 10 lb. boy. These were the days before you knew what you were going to have. Those days were better & more fun. The doctor thought that I would go home after the appendix & continue with the presence. Also he told me I had miscounted, ha one look at the babies & he told me I counted correctly. Wow Nancy those are still pretty big weights for twins being born that early! How did they not notice that you had twins when they had your appendix out? My mom was also saying that was how it was back in her day. There was no sure way to tell how many or what gender. I am a sixth form student studying EPQ which i am focusing on the difference between multiple and singular births hence my career path, midwifery. Is there any information that you can give me regarding the pre and post natal measures taken between your singular birth and the twins? any information would help me out greatly!! Wow – it never occurred to me that you would have to take twice as many vitamins. That could be hard to digest. Carrying a baby – one, two or more – is definitely a sacrificial gift. I don’t think I could drink a gallon of water a day… impressive! I am pregnant with identical twins, I have had 3 single babies already so I can deffinately say that this pregnancy has been a challenge. I have ultrasounds every 2 weeks, and I have an umbilical hernia which makes everything worst. Lots of pain and always tired. I am excited to meet my twin girls but at the same time I am very nervous.. Thank you for sharing your experience. Wow congrats Gaby! Yikes and I thought I had it hard with my singleton lol. You are definitely not alone. I can attest that a twin pregnancy is no joke! Tiring from day one. Here’s hoping for a healthy remainder of your pregnancy! This is my first pregnancy. I was 17 when I found out I was expecting twins and then turned 18 a month later. Since this this my first I don’t know the difference between just carrying one rather than two. My due date is March 20th but my doctor told me he’s only letting me go to 38 weeks because I’m having twins. Great summary, I wish you had written this before I had mine! Particularly the rest and water. The only thing I would add is talking to your Dr. about nausea medicine and constipation, don’t wait. Oh yes, especially with extra iron, twin moms are more likely to suffer from constipation! Thank you for taking the time to put together notes on what you went through, I will be visiting to read more soon. I’ve had 5 singleton pregnancies and 1 twin pregnancy and to be honest, the only major difference between them was that with my twins I had a few more ultrasounds and that’s it. My twin pregnancy was not much different from my singletons at all. Oh wow Sarah that’s amazing! Mine was so different from the start. Love this! I’m 28+4 with di/di boy/girl twins and I. Am. STRUGGLING. I barely make it through the morning before I need a lunch time nap. And other than a few morning chores, I spend most of my time on the couch! So glad to see that I’m not crazy – a twin pregnancy really is a whopper! Thanks for sharing! Hi Annalee! Yes, once you hit past 24 weeks it gets harder and harder, sadly. You are definitely not alone and these are things that sound all too familiar to me. I pretty much parked myself on the couch the whole day too. Love this article I wish I had read this when I was pregnant with my twin boys. I was going to be a mother for the first time and was having a hard time with my job, and my kids father being deployed. Everyone at the time thought I was the same as a singleton pregnancy thank you for sharing some of the differences. Rachael, I’m glad the article resonated with you! Isn’t it crazy how different the pregnancies can be? And I can’t even imagine not having my husband nearby through it. Hats off to you, mama! Every pregnancy is different. I experience worse morning sickness with my first single birth than I did with twins. The main difference for me especially as they got bigger was I could not stand for long periods of time, sleeping was difficult, and the heaviness of my belly (had to wear a band if I was walking long distances). Other than that I had an easy twin pregnancy that lasted 39weeks and 2days. Sherri that’s awesome your pregnancy lasted so long! I agree that standing and carrying the weight was a bigger challenge with twins than a singleton. I remember being up and about til 8 months with my singleton before finally feeling tired. With twins that came much sooner! This pregnancy I feel much heavier than my last one three years ago. I feel heavier than my first born almost 11 years ago. I am 8 weeks today and already showing. I have had a few miscarriages in between. I feel super drained, super heavy and running down the hall to catch my three year old after her bath leaves me needing aassive break. Is it possible I am having twins? Hi Mary, it’s possible, though I’m sure many single pregnancies have felt just as draining, especially if this isn’t your first. Typically, our bodies are more tired for second and subsequent pregnancies, and symptoms generally show up much sooner than the first time around. The best way to confirm is to ask your doctor to take a sonogram. But wouldn’t that be a surprise to hear you’re expecting twins! I wasn’t expecting twins at all and instead assumed I was having a girl (because it felt so different from when I was carrying my boy). Have a question. I’m am a twin. My sister both girls we are twins. Is it possible if she or me ahve twins babies? Hi Yane, having fraternal twins can sometimes run in families (identical twins don’t). Í disagree that it is inadviseable to travel after 24 weeks. That is too broad a statement. First of all, travel is relative. It is different if you are traveling by train, by car, or by plane, how far you are traveling and what your activities will be at the destination. Are you traveling 2hrs in an R.V. where you can have your feet up the entire time, to the beach where you will relax on the couch and take short walks for a few days? Or flying 12hrs to go on an Australian-Walk-About?Obviously very different scenarios! Secondly, each pregnancy is very different. Obviously, someone with a difficult pregnancy has to consider this differently than someone with a swimmingly” perfect” twins pregnancy. The vast majority of medical web-pages I look at advise to stop on AIR-travel after 26-27 weeks, some earlier, some later. It is very difficult to get a clear cut guideline about this topic. Personally, I flew from Europe to Beijing and then onto Taipei, 23-26 weeks pregnant with twins. That included several long lay-overs and lots of activity and walking at all destinations. By the 26th week, my body was really exhausted and in retrospect, I could have taken it easier on the trip. The flight home, in 26th week, was NOT comfortable. However, I did no physical harm to myself or my babies. I did not swell (legs and feet) more than on any flight. I was careful to drink a lot. I was careful about what I ate. It was fine. I am sure other women could do the same and also be fine. 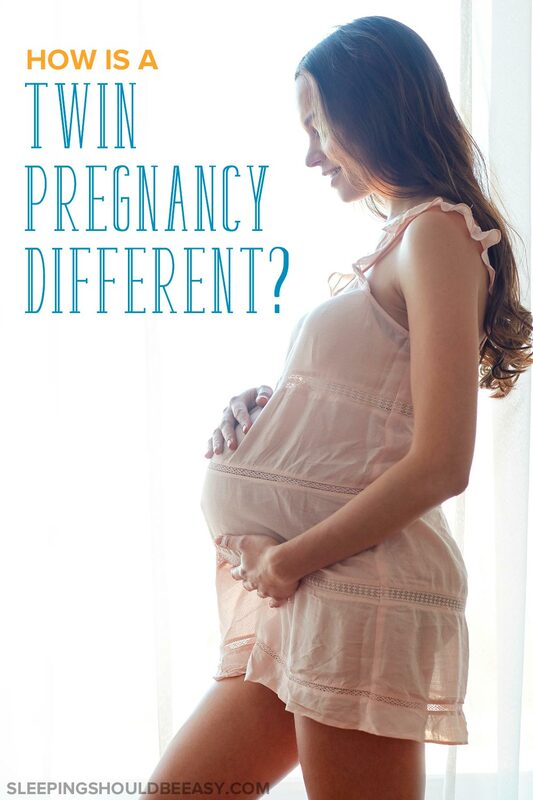 Yes, every pregnancy is definitely different! i think the bonus comes when the babies are born! 2 babies in the arms! Must be nice to be pregnant and not work! I have to work on top of all of it.. no naps whenever I feel! Same here! I had to work in an office during my twin pregnancy and it was NOT easy. I ended up leaving much earlier than with my singleton. Thank you for writing this article. I’m 34 weeks pregnant with mo/di twins and I’m at the point where I’m feeling miserable but I’m glad they’re almost here. Your article made me feel so much better. I feel as though I have been complaining a lot during the third trimester but man, it’s a lot of work. Reading this actually made me feel normal! Thank you! I am in my first pregnancy (I am 18), and I think I might be having twins. I am 8 weeks, and already showing! My mother in law is convinced I am further along (about 3 months), but I have bled at my normal time for my period until I was late. I haven’t been very hungry, but had a lot of acid reflux. Supposed to see a doctor next week, but I have never been a patient person. They told me exercise is still important with my twin pregnancy, you don’t want to gain too much weight as that can result in the babies getting too heavy too quickly and then arriving too early. Good point, Laura! Yes, if it still feels like your body can take it, exercise definitely has its benefits.